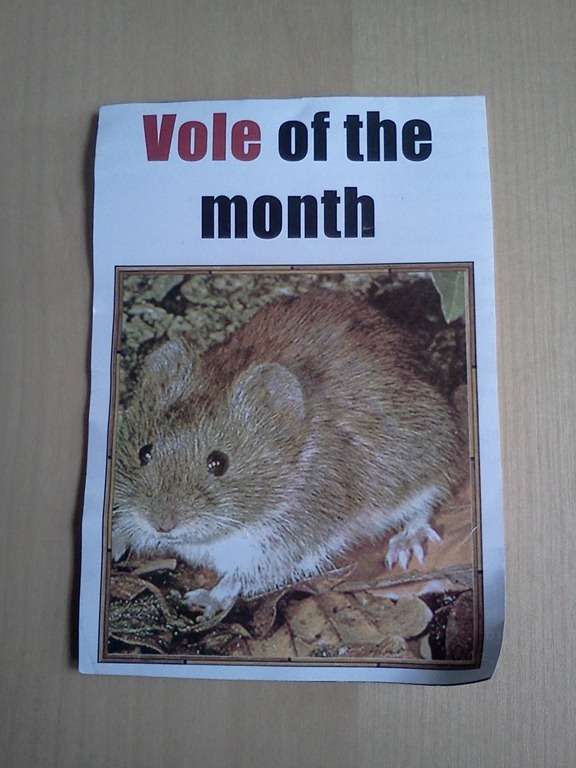 Did you know that at Oxford University (yes, the one in Ye Olde Englande), the student paper contains a “vole of the month” feature? My fantastico friend Emily cut this out for me once. Now, I could be mistaken—perhaps it’s from some other British publication?—but still. It’s a “vole of the month” feature. Wherever this comes from? I want to go to there. This entry was posted on Wednesday, April 25th, 2012 at 2:45 pm	and is filed under Everything Else. You can follow any responses to this entry through the RSS 2.0 feed. Both comments and pings are currently closed.